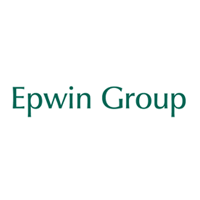 Epwin Group Plc (LON: EPWN), a leading manufacturer of low maintenance building products, supplying the Repair, Maintenance and Improvement, new build and social housing sectors, announced today its full year results for the year ended 31 December 2018. Financial headlines – Epwin delivered a robust performance in 2018. · Revenue impacted by the previously reported loss of the Group’s two largest customers in the second half of 2017 (impact £27.4 million), and the planned closure of the Cardiff plant (impact £7.3 million). · Underlying and statutory operating profit impacted by the previously reported loss of the Group’s two largest customers in the second half of 2017 and some unrecovered material cost inflation. · Significant progress made on exiting lower margin and unprofitable activities. · Strong underlying revenue growth and market share gains in all the Group’s key product areas. · Continued strong cash generation from operations. · Robust balance sheet to support ongoing investment, leverage ratio less than one-times adjusted EBITDA. · Group’s banking facilities extended to 2021. · Proposed final dividend 3.20 pence per ordinary share, totalling 4.90 pence for the year, in line with previously announced dividend policy. o Macclesfield extrusion operations consolidated into Telford plant. o Closure of the loss-making Cardiff window fabrication plant. o Disposed of non-core glass-sealed unit manufacturing operation in Northampton in early January 2019, with an associated non-cash asset write-off of £3.6 million, and which avoids significant cash restructuring costs and ongoing property costs. o New warehousing facility in Scunthorpe now fully operational, enhancing logistic capabilities. o Significant new facility planned in Telford to consolidate Window Systems warehousing, finishing and aluminium operations into one location by early 2020, reducing seven sites to two. o Continued strong sales growth from the Profile 22 Optima window system. o New decking ranges launched in both PVC and Wood Plastic Composite. o Planned launch of a new aluminium window system in the second quarter of 2019.
o Additional products added to existing ranges. o Acquisition of Amicus, completed in March 2018, adding a further 15 building plastic distribution outlets. o Acquisition of PVS, completed in January 2019. PVS is a decking installation business and enhances our capabilities and routes to market whilst establishing Epwin as the only end-to-end, vertically integrated supplier in this market. · Current trading is in line with the Board’s expectations. · Progress in passing on price increases beginning to mitigate the significant material cost inflation experienced during 2017-18. · Market conditions in the Group’s key Repair, Maintenance and Improvement (“RMI”) sector continue to indicate market growth is largely static. · The Group expects to make progress with its strategy based on operational improvements, enhancing the product portfolio, cross selling, focusing on and gaining market share in its higher margin activities, and selective acquisitions. o Underinvestment in existing UK housing stock becoming more acute as repair and maintenance expenditure cannot be deferred indefinitely. o Newbuild housing continues to see strong demand. o Social Housing market is starting to show some signs of growth. (1) Underlying operating profit and margin is operating profit before amortisation of acquired other intangible assets, share-based payments expense, other non-underlying items and discontinued operations. (2) Adjusted profit before tax is profit before tax before amortisation of acquired other intangible assets, share-based payments expense, other non-underlying items and discontinued operations. (3) Underlying operating cash conversion is pre-tax operating cash flow as a percentage of underlying operating profit. (4) Restated to reflect the reclassification of the glass sealed unit manufacturing business to discontinued operations.